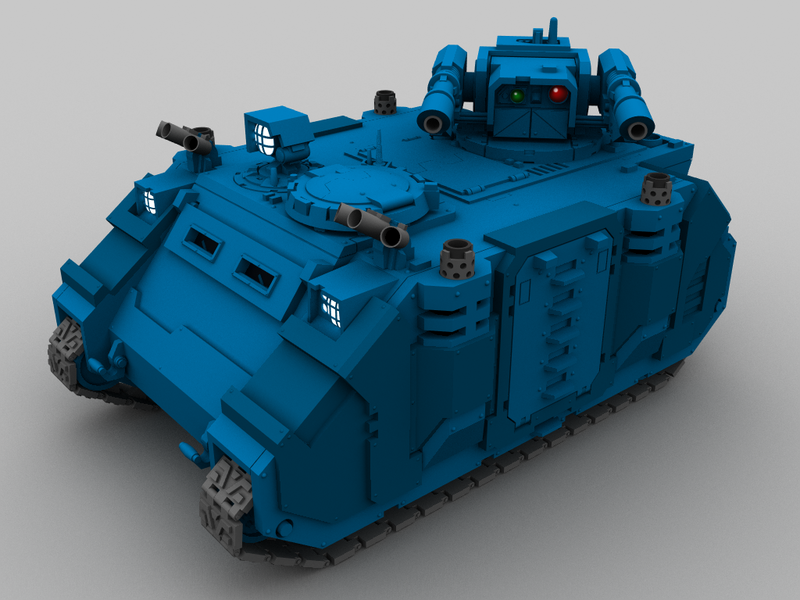 First one is Space Marine Rhino. Basic type without weapons yet. I want make sometimes all known variants of it. You will notice, that mesh doesnAâ€™t have rounded edges. Yeah, for this purpose I donAâ€™t need them. 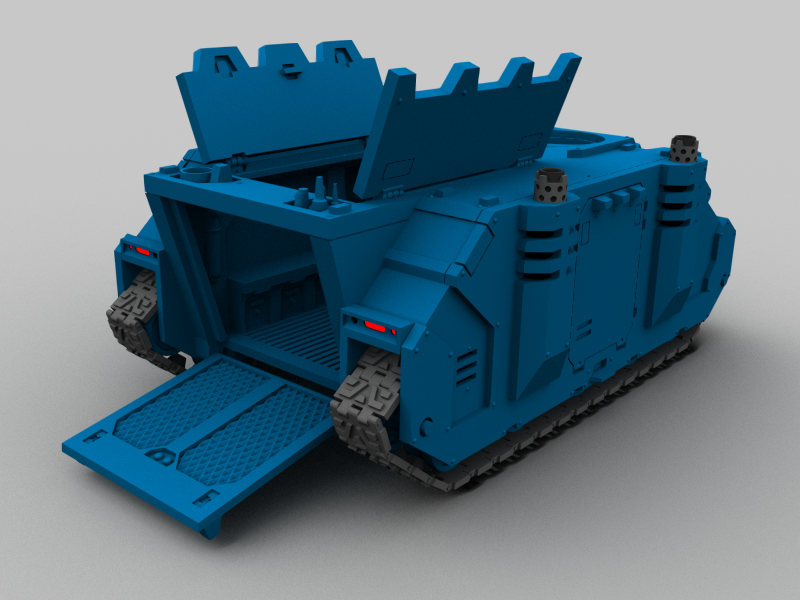 Much more important is shape and correct dimensions of it based on plastic kit from Games Workshop. I will texture it eventualy. 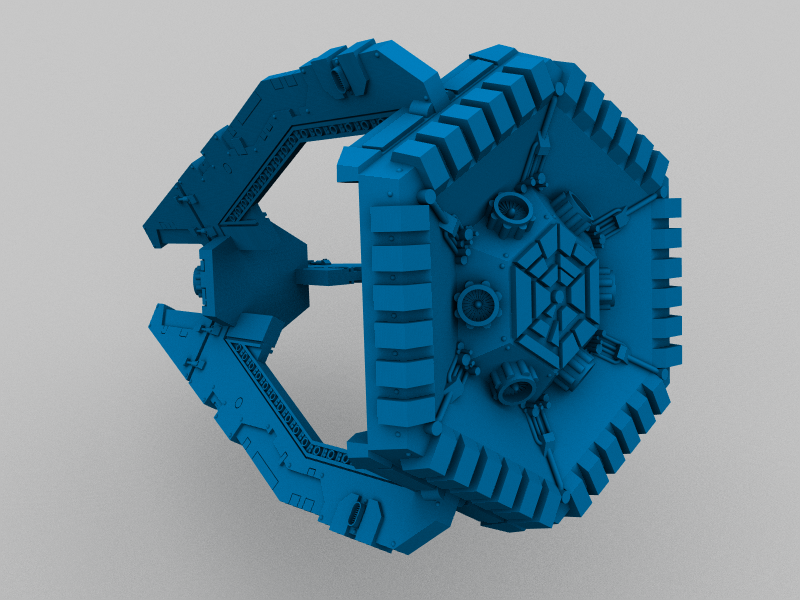 Here is another Space Marine vehicle - Dreadnought Drop Pod from Forgeworld. omg those are amazing!!! can't wait to see more progress on this! keep it up! Actual render of Rhino. Regular transport version without weapons is almost ready. Very, very nice. Even without any rounding you've got it spot on and looking great. 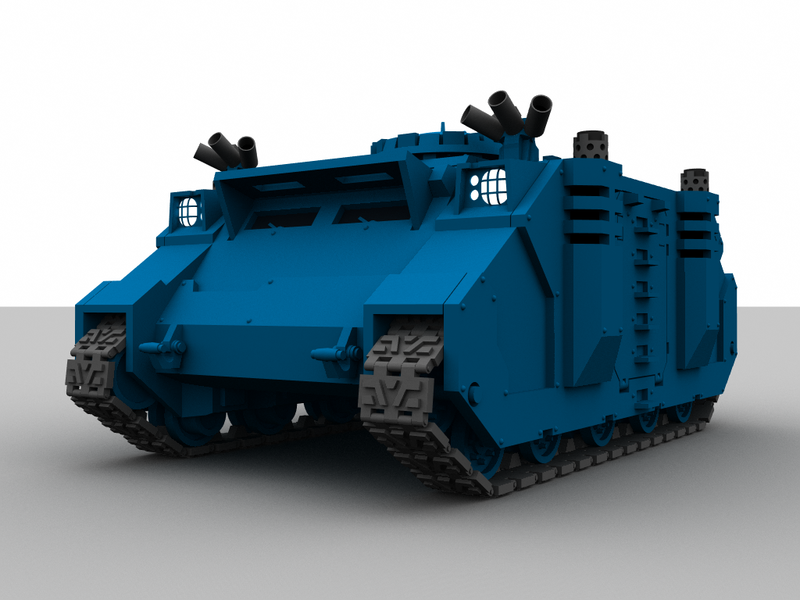 I don't think one can find a more model-accurate rhino ANYWHERE on the 'net. amazing. 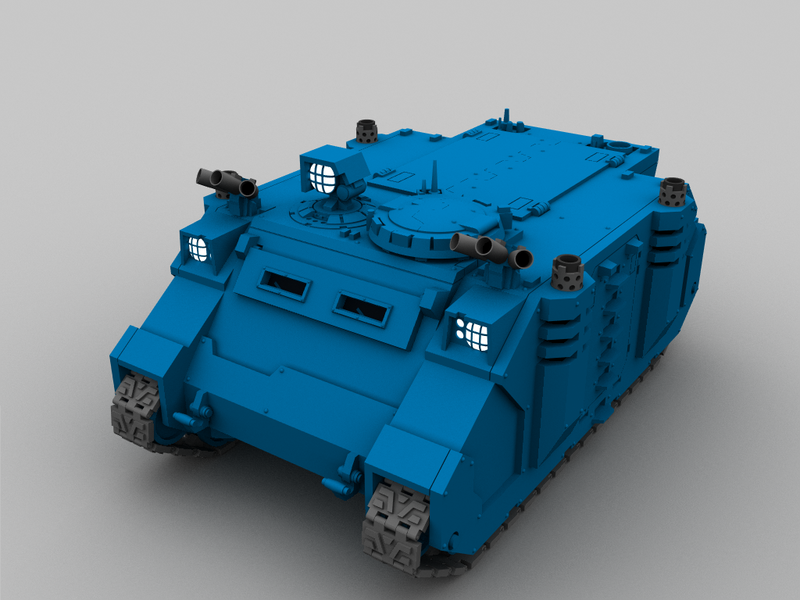 What other models do think you'll make after the Rhino variants? More space marines? or branch out to other races? 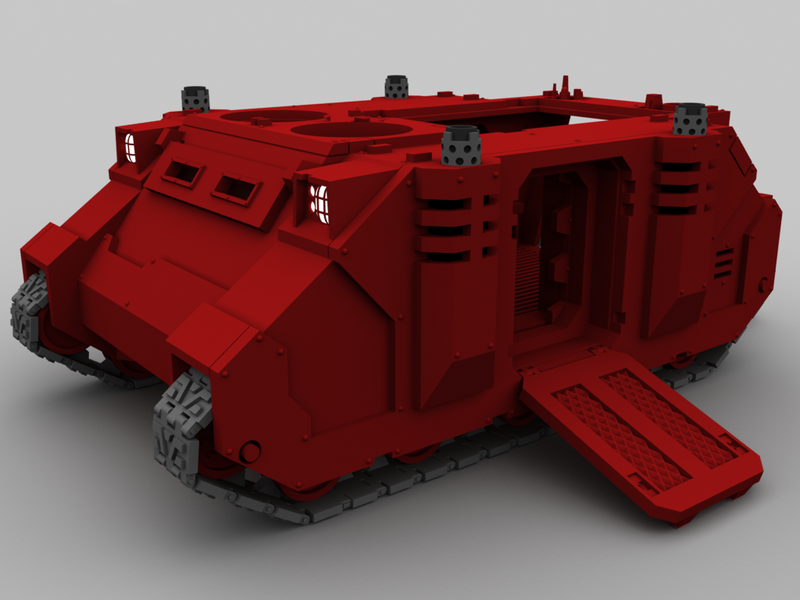 Later IAâm going make some more space marines and some imperial guard stuff. Btw maybe you guys noticed few changes, that I did to Rhino. Shorter track links, back red light, main wheels are fixed only from one side to insure possibility make them spring-loaded. Modified exhaust shrouds. Added search light. Next will be Radar dish, Hunter Killer Missile Launcher and Stormbolter. There is missing only electronic inside of cargohold. 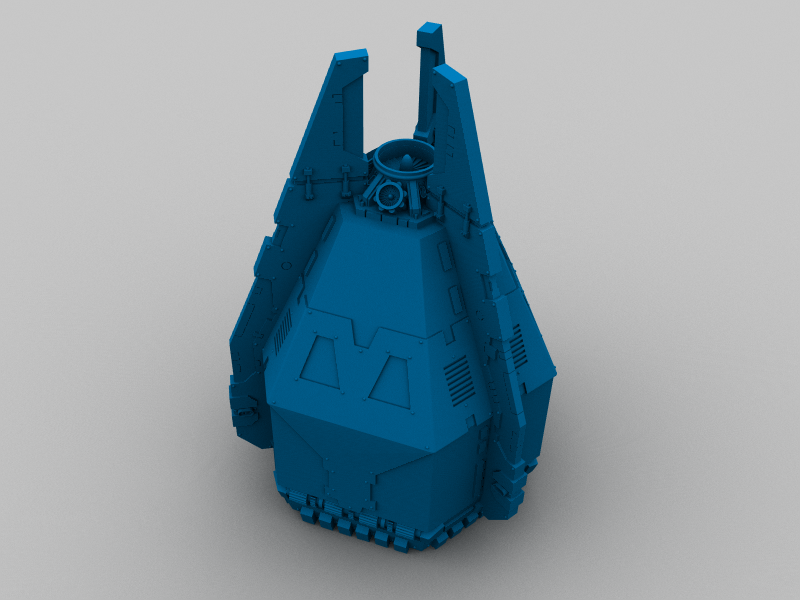 Small update on Dreadnought Drop Pod. You gonna do the dreadnought to go in the drop pod? Is the colouring a hint to the ownership of these vehicles or just pot luck? Colouring is only random color. Actualy IAâm going make in real some Hawk Lords. But you can imagine, that in dark violet there will be not much to see. 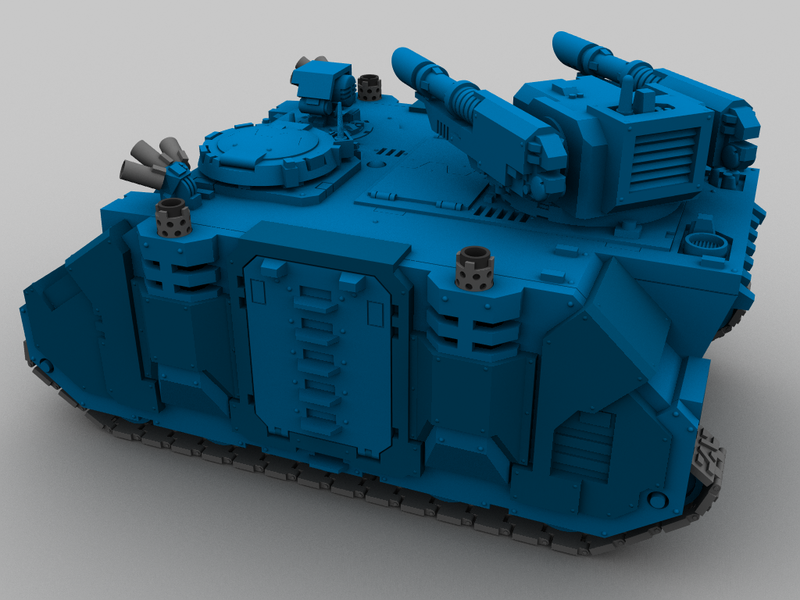 Rhino with Extra Armor Forgeworld style with small adjustment of shapes and dimensions. Crickey, that's some solid modeling. Now get crackin' with the textures! Looking very good, Tom. I hope you'll consider releasing this beauty for the general community here to enjoy. My only comment would be on the smoke launchers. Are they normally that big on a Rhino? They look a little oversized to me. They have in real diameter 3 mm same as 3D, there is only problem, that hole inside is may be a bit bigger. Thanks. It is not only my idea, these rear lights on military vehicles are widely used. May be only on rhino it is my idea. 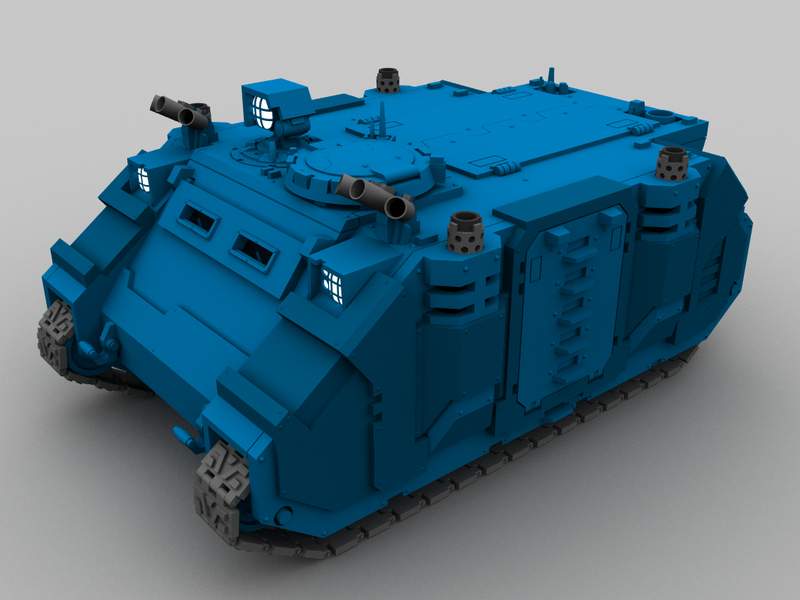 If you want use this idea on your baneblade or somewhere else, you can use it. Thanks, I know they are widely used on real world IFV/AFV/MBT etc but it's the particular style you used that I like. 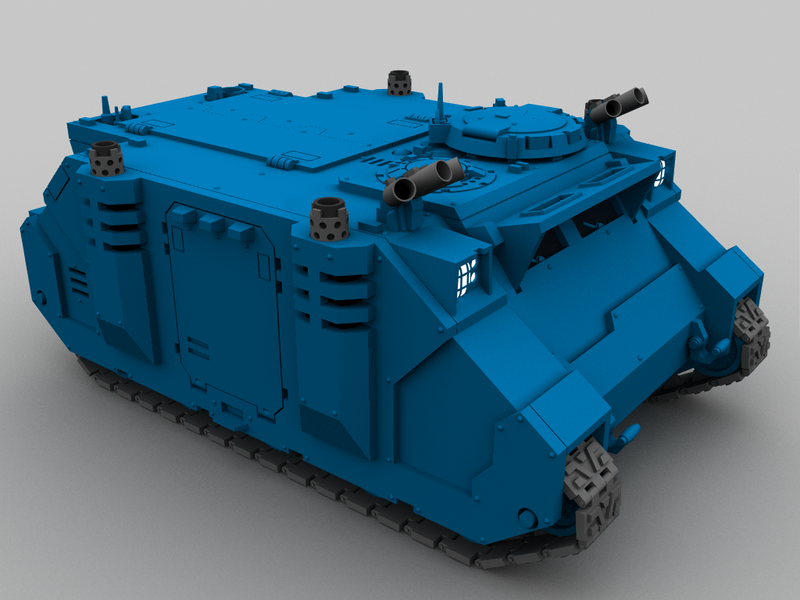 If I decide to add rear/brake lights to the baneblade I'll probably do them like the ones on Forgeworld's Chimera Track Guards to be honest, that style seems fitting for the Guard where as your style seems very fitting for the Astartes. 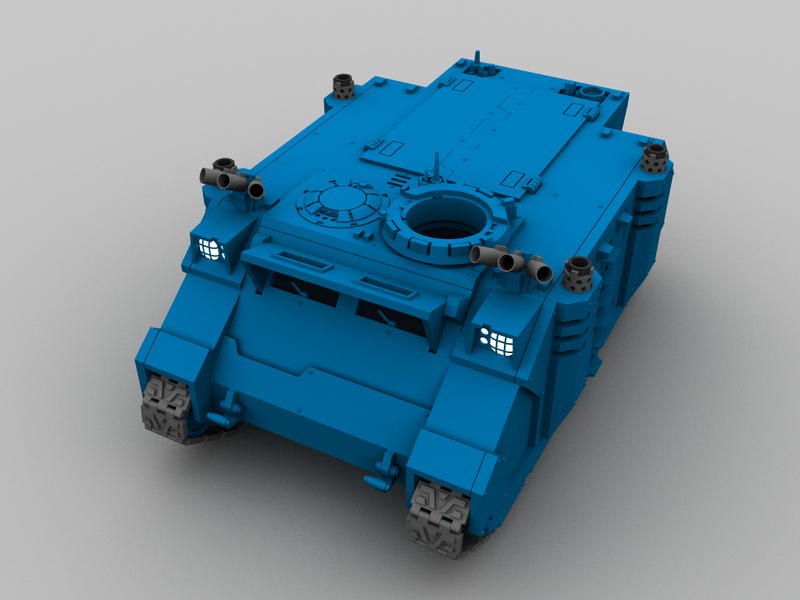 IAâm working on EA for front armor of rhino. This is rought screenshot from 3D package to show actual status. There will be some changes around visors include some outside complete visor cover and some small optic box, then you can drive with these visors closed. 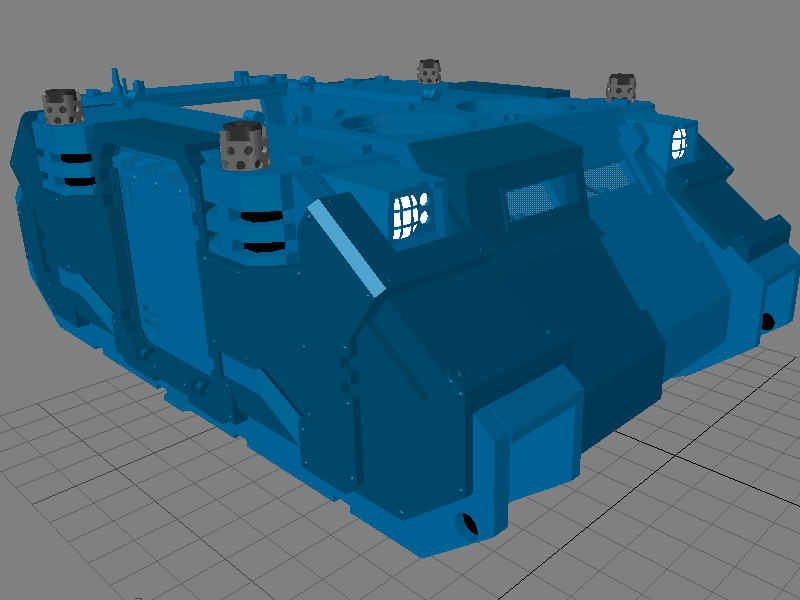 And of course there will be added rivets and some more plating on hull. Thanks guys. 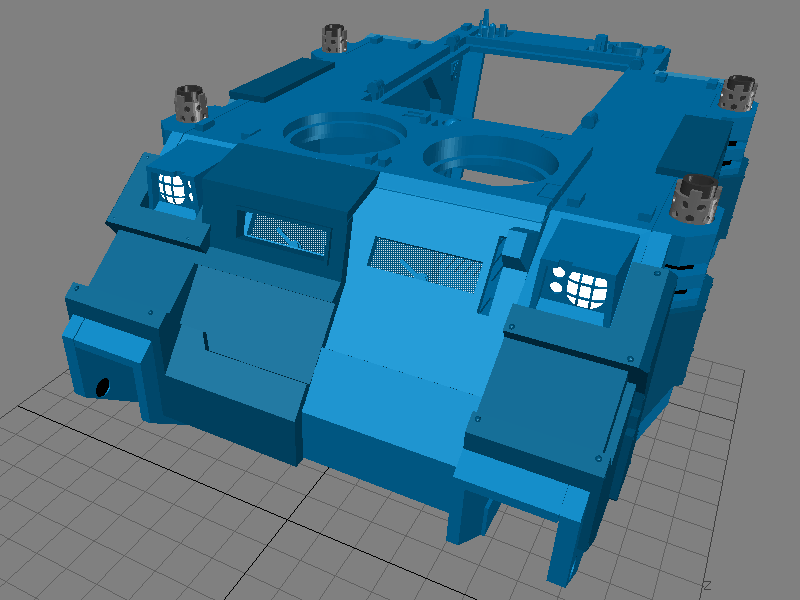 IAâm just working on turret plate on top of rhino in razorback configuration. Then I will continue on this front extra armor for rhino, cos it needs some more time to look good. loving the extra armour mod, keep it coming! 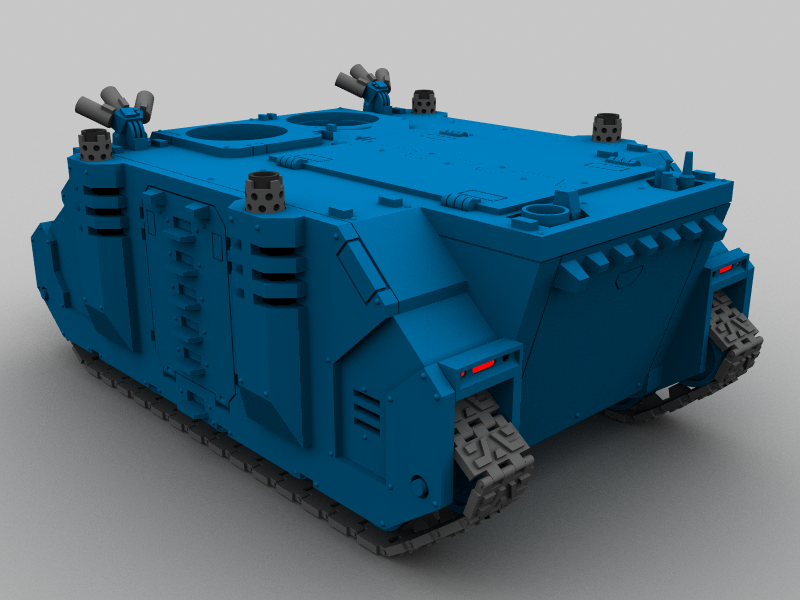 Here is render of Rhino in Razorback configuration with Twinlinked Laser Cannons turret, based on my modified master parts from Forge World. 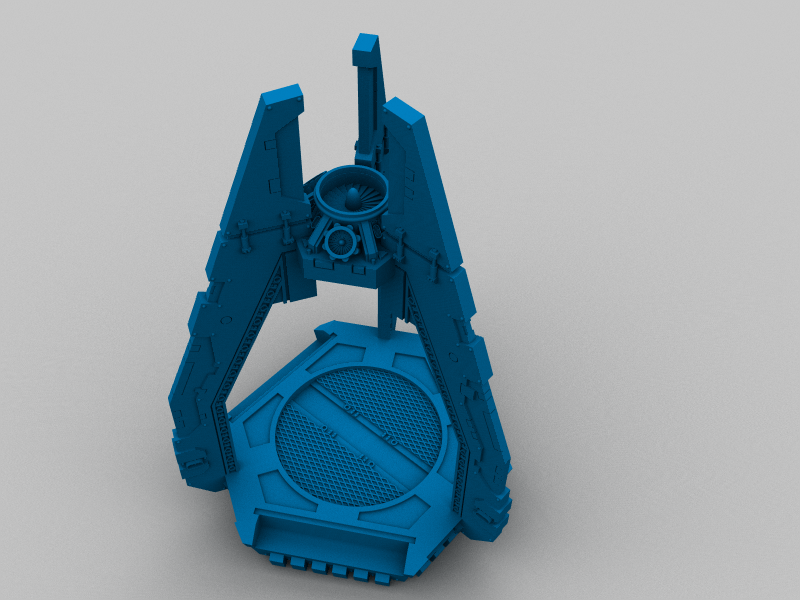 Actually I donAât like original plastic turrent, then I decided use this FW style turret. Man, that looks good! And you're 100% right, the FW models do look a lot better. Looking good Mr Grays, very good. 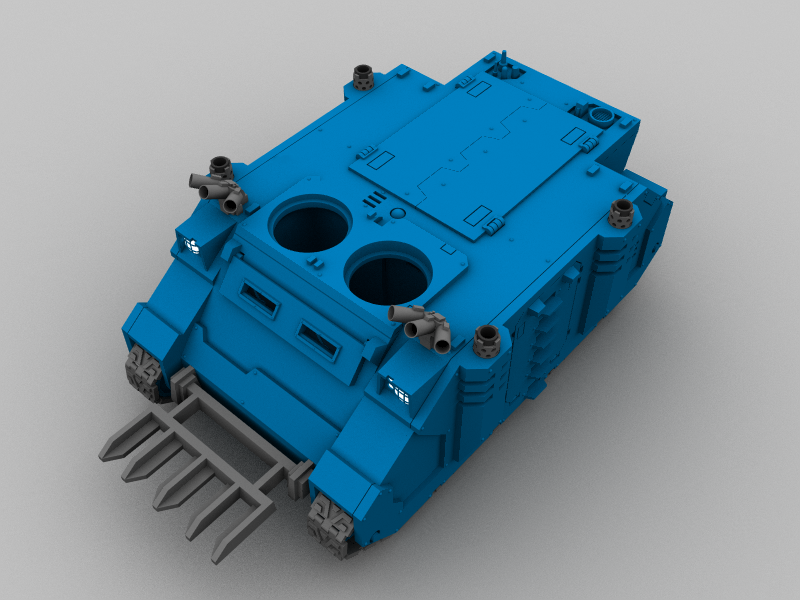 I'm currently finishing off the same twin linked lascannon turret, hope to post it soon. Still needs painting , have you decided which chapter(s) you're going to do? Yeah. I choosed Hawk Lords with a bit darker violet, than usuall and gold as second company color from codex. I call them "Violet Abomination". But in 3D I can make everything I want and I will have time.